What Will Happen to My Children If I File for Divorce? A separation and divorce can be rather stressful on its own and even more so when there are minor children involved in the process. While you and your spouse will be separating and getting divorced, it will mean changes to the family dynamic and a new structure for your children. There are several things you and your spouse can do to ensure the transition is less stressful on your children. How decisions regarding healthcare, education, and religion will be handled. It is important to make sure you or your spouse do not attempt to use the children as leveraging tools against each other or to create conflict. When creating the parenting plan, it is a good idea to set all differences aside and just focus on the children and their needs. In Ontario, parents can agree to an equal amount of time with their minor children, as long as it is in the children’s best interests. This means both parents have the right to see their children and spend time with them. It is often described as a “shared parenting” arrangement. 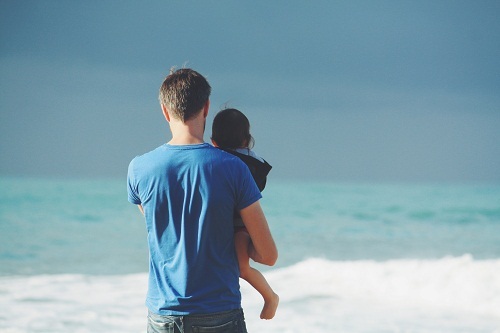 There are two types of child custody arrangements: Joint Custody and Sole Custody. In a joint custody arrangement, both parents will have to agree when making major decisions for the minor children. In a sole custody arrangement, one parent is empowered to make all the major decisions for the children without having to get permission or agreement from the other parent. Courts tend to favor joint custody when it is appropriate. You and your spouse need to decide which type of parenting arrangement is best for your particular situation. If you cannot agree, then the Courts will decide what type of custody arrangement is in the best interests of the minor children. With child access, it can be dependent upon the circumstances of the separation and divorce. In most cases, Courts like to see parents work out an access schedule that gives them equal time with the children. If parents cannot agree on an access schedule, then the Courts will make one instead and impose it on the parties. If the situation between you and your spouse is not amicable, you and your spouse should seek assistance from your own respective Ottawa divorce lawyers. For assistance in filing for separation and divorce, creating a parenting plan, and addressing child custody and access issues, please feel free to contact Davies Law Firm at (613) 688-0462 today!